For a decade and a half, California’s fallen firefighters have been etched in history at the California Firefighters Memorial in Sacramento. Later this month, this legacy of remembrance will be recognized by California’s firefighters, family members and all who have served. The California Firefighters Memorial 15th Anniversary Tribute will take place Friday, September 29, 2017, the evening before the annual California Firefighters Memorial Ceremony in Sacramento. The ceremony will feature a candlelight procession from the north steps of the California State Capitol to the Memorial site in the center of Capitol Park. The Air National Guard Band of the West will play and memories will be shared by those for whom the Memorial means so much: our firefighters and the families of our fallen. The next day, Saturday, September 30, 2017, the California Firefighters Memorial Ceremony will honor our fallen and their families, with the addition of 31 names to the stately Memorial Wall. Please join us in recognizing this important milestone for your Memorial. All firefighters and fallen families are invited to be a part of our remembrance. Join us Friday evening beginning at 6 PM. 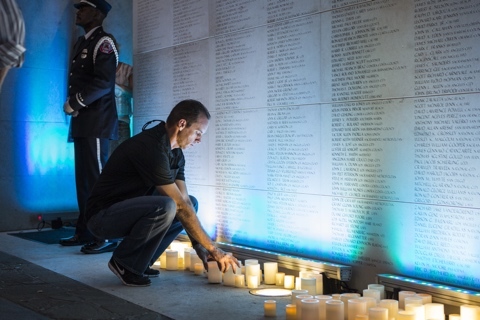 Carry a candle in memory of someone you’ve lost, then stay and share memories and reflect on the history of honor represented by the Memorial. If you are coming to attend the California Firefighters Memorial Ceremony on Saturday, please consider joining us the evening before. Firefighters need not be in uniform to be part of the Friday evening candlelight procession. 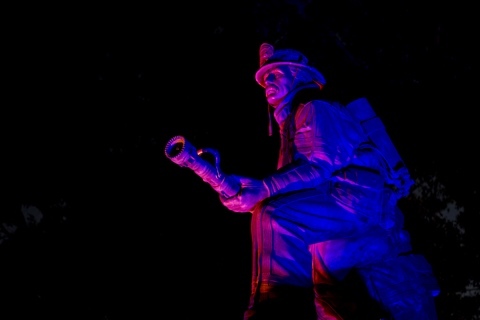 The California Firefighters Memorial is a touchstone of remembrance for our profession. Join us Friday evening to mark the Memorial’s importance, then join us again Saturday as we honor those for whom it was built: our fallen firefighters. This entry was posted in Memorial, News, Uncategorized. Bookmark the permalink.